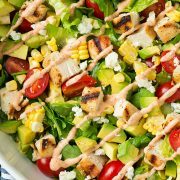 This Avocado Ranch Dressing is a healthier take on the classic salad dressing. It’s ultra creamy thanks to the addition of Greek yogurt, and the fresh dill and chives add so much flavor! Perfect as a dip, atop salads, and more! 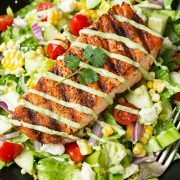 I made this avocado ranch dressing to go with a Mexican Grilled Salmon Salad, but why not use it for all your favorite salads? It’s deliciously creamy, healthy and totally delicious! 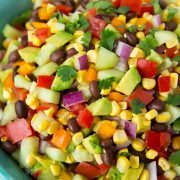 For a cilantro-lime version, swap out all of the herbs listed for 1/3 cup cilantro (no need to chop first. I just chopped those listed in this recipe for easier measuring) and 2 green onions, chopped into thirds. 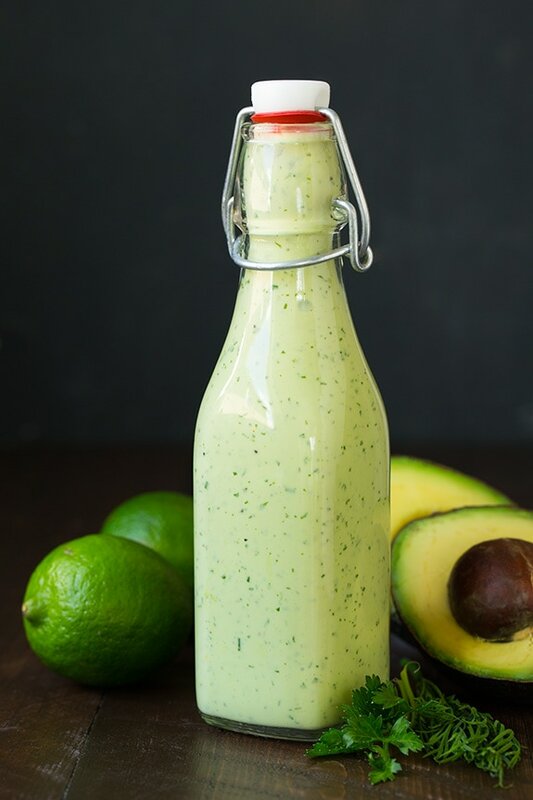 This avocado lime ranch dressing is the perfect combination of fresh and creamy, and the lime adds a subtle tanginess to it that’s impossible to beat. Easy homemade salad dressing at its finest! Add all ingredients (except the milk) into a food processor. Pulse until creamy and combined. Add milk to thin homemade ranch dressing, as needed. Can I Use Dried Herbs for This Ranch Dressing? I wouldn’t recommend it, as dried herbs won’t blend up as easily as fresh herbs. The fresh herbs also add tons of flavor to this avocado ranch dressing, and I don’t think you’d get the same results using dried herbs. Can I Use Regular Yogurt Instead of Greek? Most likely, yes. I love making this a Greek yogurt dressing since it turns out thicker. But in a pinch, I bet plain regular yogurt would create a similar dressing (it may be a little thinner, though). How Long Will This Dressing Last? This avocado ranch dressing likely won’t last more than a couple days in the fridge. Keep it in an airtight container so it stays fresher for longer! 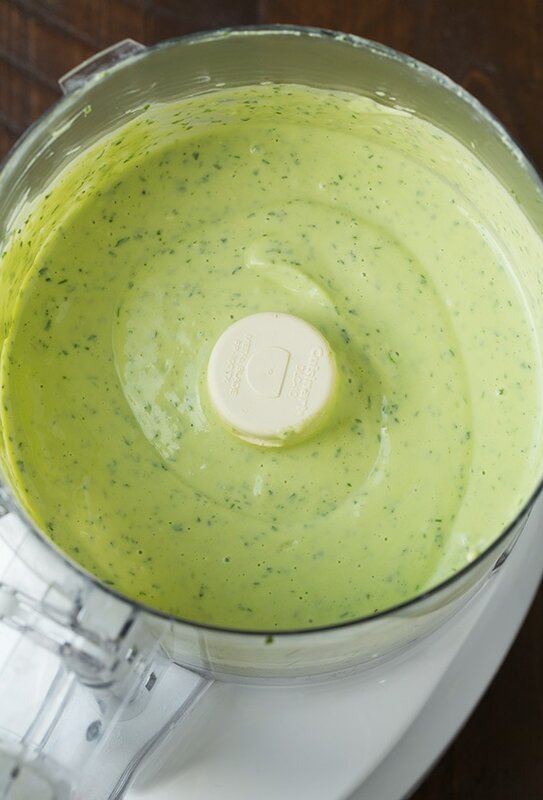 Use fresh herbs to brighten the flavor of this avocado ranch dressing. You can play around with the kind of herbs you use too! Use plain, non-fat yogurt — it makes the dressing tangier. Add milk a tablespoon at a time so that you don’t make the homemade ranch dressing too thin. A deliciously flavorful and creamy avocado ranch dressing. Made with Greek yogurt and avocado instead of fat and calorie-heavy mayonnaise. 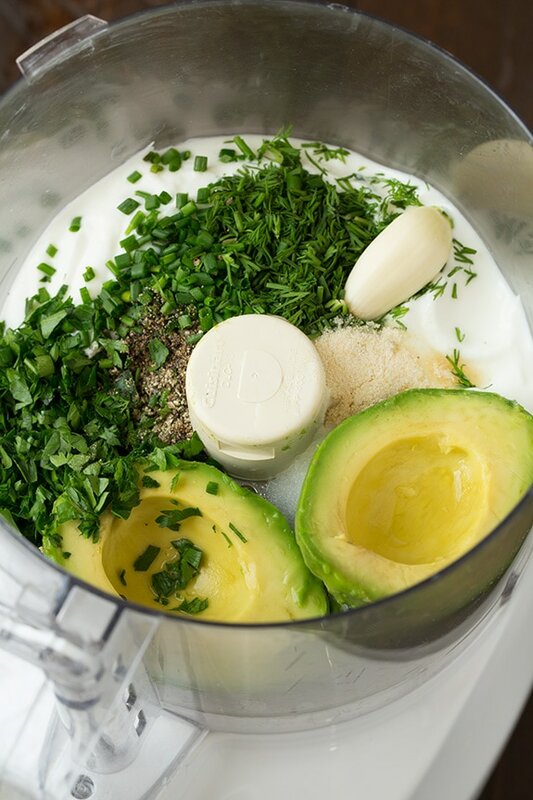 Add all dressing ingredients except for milk to a food processor. Pulse until well blended. Add in milk 1 Tbsp at a time to reach desired thickness. Store in refrigerator in an airtight container. Add milk a tablespoon at a time so that you don't make these homemade ranch dressing to thin.